Sweco, the number one AEC consultancy in Europe, has coped with the challenges by investing in innovation and development. For example, they’ve created around 160 design automation tools in the last five years. Consequently, Tekla Structure users who used the tools each saved 33 hours of work, in 2017, without compromising design quality. Artificial Intelligence is the next frontier in design automation. The Finnish Government aims to make Finland number one in applying AI. 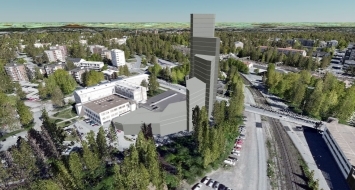 Sweco Finland started in autumn of 2017 a one-year, government-funded KIRA-digi experimental project to explore the possibilities of AI and machine learning in structural design. “To our big surprise, we did not find AI implementations in our field. We had to start doing basic research instead of just applying the technology,” says Mauri Laasonen who manages the KIRA-digi project. Sweco collaborates with multiple partners, e.g. 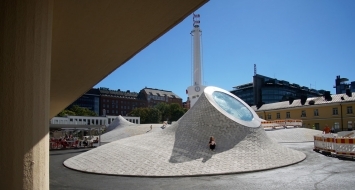 Tampere University of Technology, which provides both advice and technical expertise to the project. Data is the basis for machine learning. 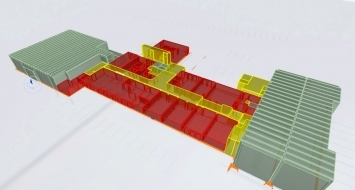 Sweco has tens of thousands of building information models that they can use as a reference or training material for machine learning. Sweco uses the technology in two ways – to guide and support the designer based on historical data and to automate certain design processes as far as possible. The project also helps to understand how BIMs should be stored to use them in machine learning. Laasonen and Farinha share an example of process automation. They used machine learning in the design of a small power plant, with 929 structural members and 696 joints between the members. Typically, it takes about 4,000 hours in total to design a structure of this size and complexity. The designer uses about 1,000 hours for basic design, 2,000 for detailing, and 1,000 for drawing. In other words, 50% of the time goes to designing connections. Automation lets Sweco reduce this time significantly and, eventually, get rid of it altogether. Farinha explains how they experimented: “We created a system that automatically recognizes the connections in a model. We fed in existing models that were fully detailed. From them, the machine learned the structures, the relationships between the connections, and the forces applied to the structures.” Consequently, the machine was capable of automatically designing the joints for the new model. The testing showed that 22% of the machine-created connections were perfect matches with human-made models. And, 55% were possible matches – i.e., they were not exactly the same, but still functioning as required. Only 23% of the connections had no match – i.e., the machine designed 77% of the connections successfully without human intervention. The experimental project illustrates the possibilities of the future. With AI, the designer can present several alternatives for the customer to choose from in less time than it takes to create one design today. AI-powered tools can reduce the amount of steel needed to construct a building and it can create fewer connection types, thus save manufacturing costs. AI can optimize for cost or any other parameter in the design. In manual design, this is not usually feasible because of lack of time or money. “In all, with new technologies we can provide better quality, be more productive and profitable, and do things that were not possible in the past,” says Farinha. Meet Sweco at WDBE 2018! Sweco will be presenting at World Summit on Digital Built Environment WDBE 2018, an event that will showcase a unique portfolio of ideas, projects, and businesses from the digital forefront of design, construction, property and real estate. 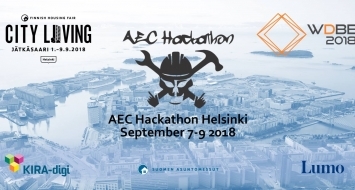 The event takes place in Helsinki, Finland, on September 11-12, 2018.